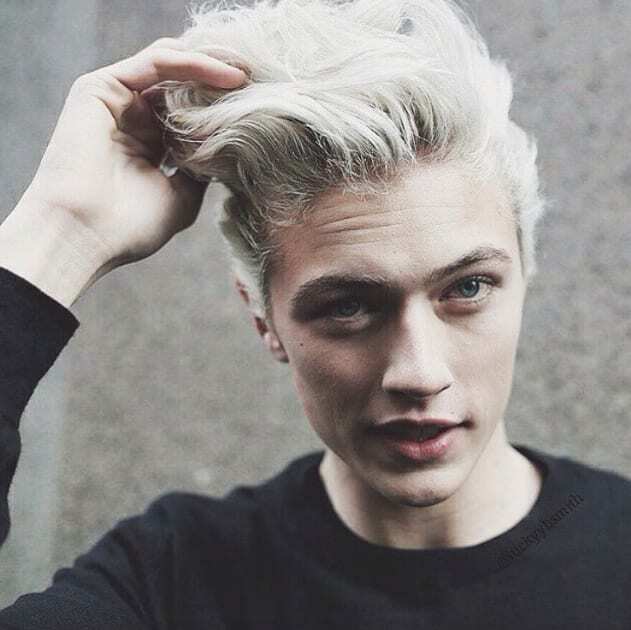 Meet male model Lucky Blue, the 16-year-old who doesn&apos;t need more to life than being really, really, ridiculously good looking. Blue got his big break at the age of 12, with Hedi Slimane, no less, and since has built up an army of loyal fans both in and out of the industry. Dazed charts Blue&apos;s meteoric rise from his beginnings as an unknown kid to one of male modeling&apos;s biggest stars. Blue was signed by Los Angeles&apos; Next Models when he was only 10. Two years later, he landed a spread with Vogue Hommes Japan that was shot by none other than Slimane. "Looking back, knowing how respected he is in the fashion community and how influential a designer he is, I feel I was really fortunate to have had that experience," he told Style.com. Three years later, in 2014, Blue nabbed another high-profile gig starring in a fragrance ad for Calvin Klein. At this point, Blue&apos;s fame really starts to take over as a profile on Business of Fashion and appearances on Style.com and The Ellen Show put him directly in the spotlight. It doesn&apos;t hurt that during his first runway circuit at Paris Fashion Week, he killed it for Bottega Veneta, Dunhill, Etro, Fendi, Jeremy Scott and Tom Ford. Ford also just handed Blue his biggest campaign yet as the new face of the brand. And we&apos;d be remiss if we left out the time he modeled in John Elliott + Co.&apos;s Spring 2015 lookbook. Check out some of Blue&apos;s biggest acheivements below and read more about him here.